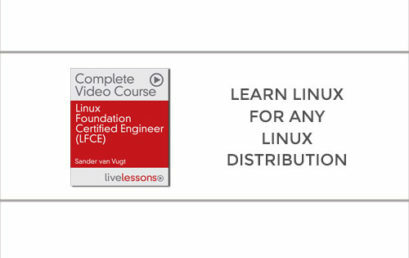 Linux Foundation Certifications prove you master Linux on any distribution system. 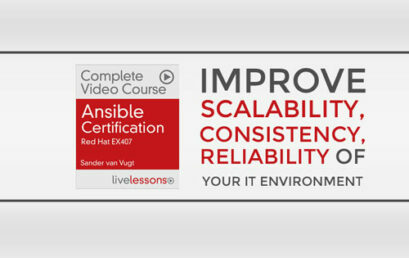 The LFCE Video Course prepares you for all the objectives on the LFCE Exam. 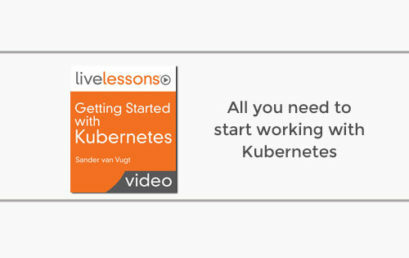 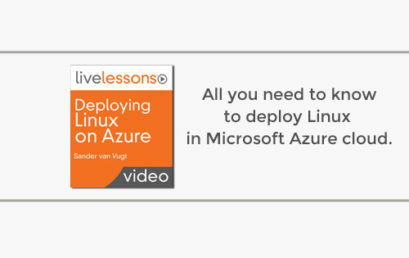 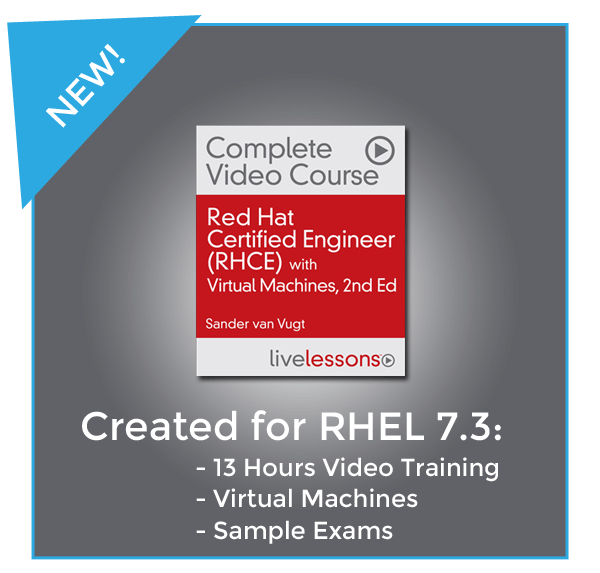 The second edition of my Red Hat Certified Engineer (RHCE) Complete Video Course with Virtual Machines is now available! 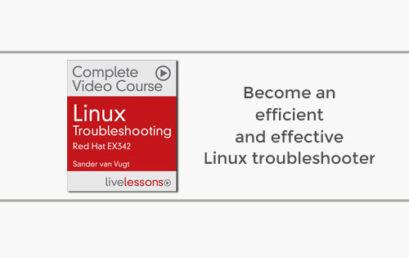 The Red Hat Certified Engineer (RHCE) Complete Video Course with Virtual Machines, Second Edition contains 13 hours of comprehensive Video training. 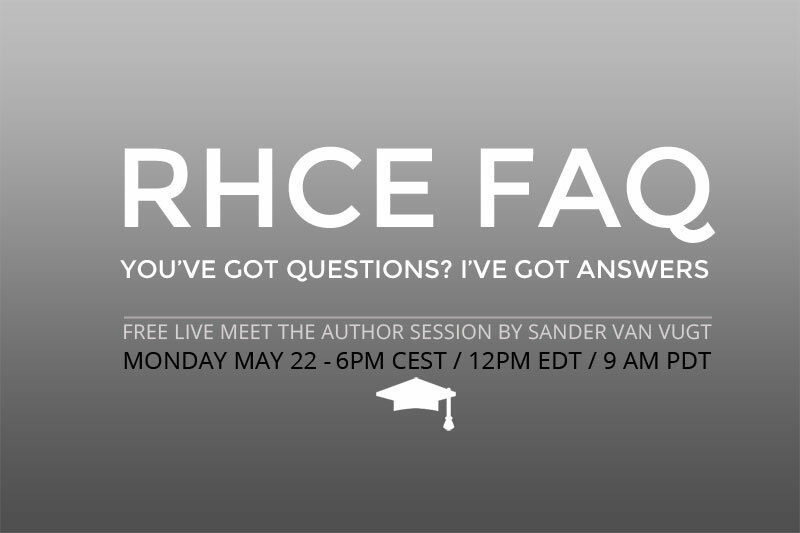 You can study your RHCE skills by watching different video styles such as whiteboard concept teaching, live CLI work, screencast teaching, hands-on labs, and practice exam walkthroughs. 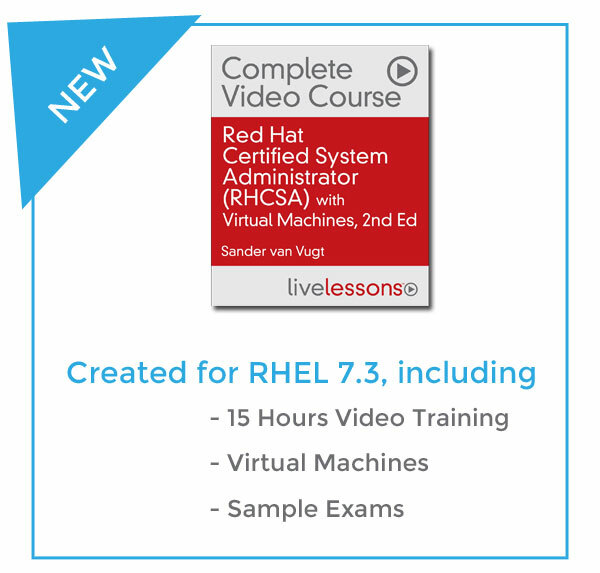 This new Red Hat Certified System Administrator (RHCSA) Complete Video Course is the video course is created for RHEL 7.3 and contains virtual machines to practise for succesfully taking the RHCSA Exam.